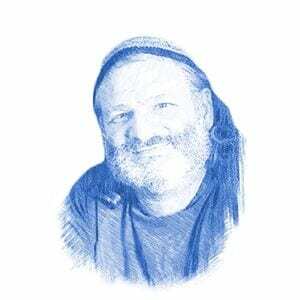 Last Shabbat, Rabbi Haim Rothman passed away as a result of injuries he sustained in the horrifying terror attack in the Har Nof synagogue last November. His tragic death, after almost one full year in a coma, conforms precisely to a prophecy in the Zohar, a book of Jewish teachings, that describes this specific attack as a major step in the messianic process. In the Zohar, a book of Jewish mysticism based on Biblical commentary, it is written that in the sixth cycle of 1000 years, there will be a spiritual process of 70 days which “will return the Torah to Moses”, after which “a great cry will go up to God from Israel from the suffering, and a synagogue in the south will be attacked, and five truly righteous Jews will be killed”. The Har Nof synagogue was attacked by Arab terrorists armed with knives, guns and axes on November 18, 2014. Four Jews were killed in the attack, as well as a Druze policeman, Master Sergeant Zidan Saif, who was killed after heroically engaging the two terrorists. Saif was certainly a righteous and courageous man, and, according to Jewish law, he has the status of a pious non-Jew. The kaddish, the prayer for the dead, is also said for non-Jews who die protecting Jews. In addition, the Druze claim to be from Jethro, Moses’ father-in-law, so they are connected to Judaism and Israel. However, for the sake of understanding the Zohar, the Druze policeman was not included in the number of righteous Jews killed in the attack. At the time of the attack, many scholars of the Zohar tried to understand events according to the timetable described, but the prediction that five righteous Jews would be killed in the attack only truly became a reality last Saturday, when Rabbi Rothman died. Using this timeline, many of the steps that are described in the Zohar as following the murder of the five righteous men in the synagogue are now clearly recognizable in the violent conflicts in and around Israel today. For example, in the most intriguing part of the prophecy, the Zohar predicts that the “Sons of Ishmael” (Arabs) will make war against the Messiah, and will “come and bow down before God at the holy mountain in Jerusalem”. The Zohar specifically uses the name of the God of the Jews, and not a generic term or the expression used for non-Jewish worship. This prediction of the Zohar predicts that the Arabs will worship the Jewish God on the Temple Mount and, in fact, that does seem to be what is happening. With all the anger and fury surrounding the Temple Mount lately, a fact that has largely gone unnoticed is that it is the site of the Jewish Temples which has become the defining symbol for Muslims, rather than the al-Aqsa Mosque, which faces the Kaaba in Mecca. 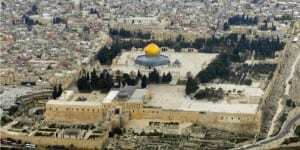 It is the silver-domed Al-Aqsa, and not the Dome of the Rock, that stands on the supposed point from which Muhammad ascended to heaven, sanctifying the location for Muslims. Before the establishment of the state of Israel, this was not so. During the First Crusade, Islam was uninterested in the Dome of the Rock and it was turned into a church while al-Aqsa, with its lead dome, was a modest mosque. In the early 20th century, the attention of the Muslim world was much more focused on the silver dome of al Aqsa than on the Dome of the Rock, which was not covered with gold until 1993, after the Jews began ascending to the Temple Mount. It appears that the Arabs become intensely interested in the site only when the Jews, and their God, are present. In fact, the recent Palestinian proposal adopted by UNESCO has Muslims sanctifying and praying at several major Jewish holy sites which have little relevance or connection to Islam. Rachel’s Tomb in Bethlehem and Joseph’s Tomb in Nablus were tiny and isolated sites, mostly ignored by the Muslims, until Jews returned and began praying there. The Zohar explicitly states that these wars will be in the sixth cycle of 1,000 years, which is the present era according to the Jewish calendar, and even more specifically, in the current month of Cheshvan. At that time, the world will gather to make war against Israel, and the children of Edom will gather together and conquer Israel. Edom, in terms of the Zohar, is generally understood to be Rome, or the leader of Western culture; today, scholars interpret Edom to mean the United States. The Zohar goes on to say that Edom will rule Israel for 12 months. At the end of 12 months the world will shake, and during that time, the Shechina (heavenly presence) will return to dwell in the cave of Moses. The Messiah will hide for 9 months – similar to the period of pregnancy – and then the people in Israel will hear a sound like the blowing of a shofar. The Zohar and other classical Jewish sources go into great detail describing the steps leading up to the Messiah. Throughout the ages, people have claimed the arrival of the Messiah is imminent, yet never before have the events been so in-sync with the prophecies.